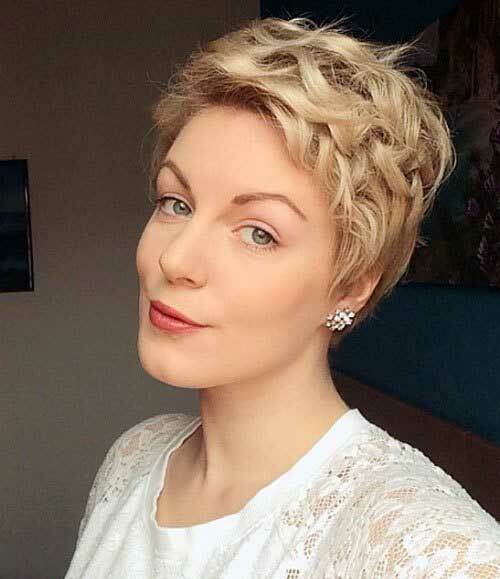 In this post we’ll show you trendy pixie cut ideas for 2016, take a look at these gorgeous short hairstyle ideas now and be inspired! 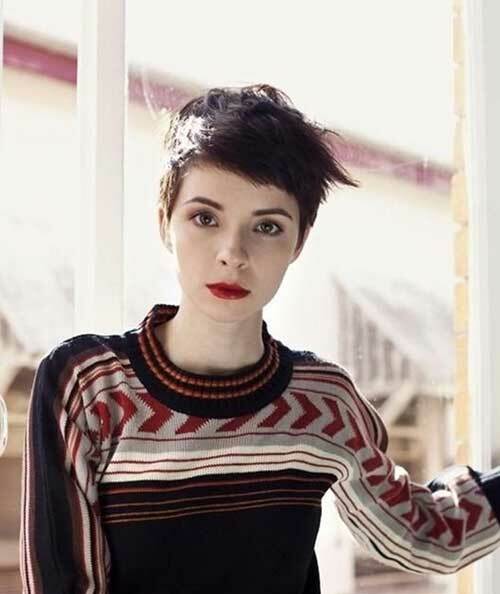 This brunette pixie cut looks really glitzy and cool especially with blue eye-liner. 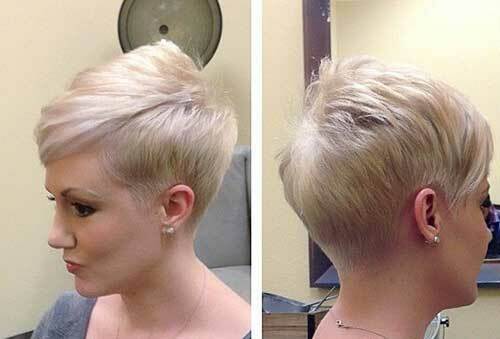 Ash hair color and chic asymmetrical short haircut would be great for women with light skin tone and oval face. 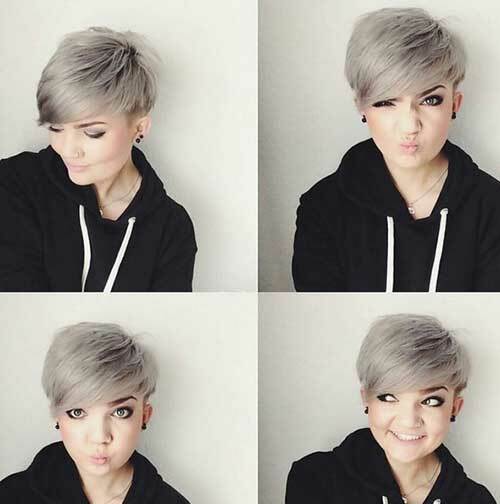 Here is a really pretty and messy short hairstyle idea for girls with thin and brunette hair. 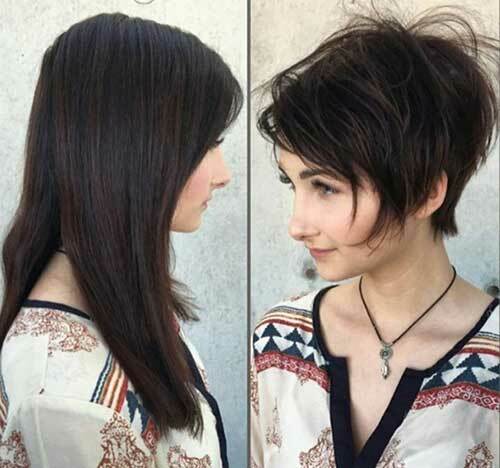 This red messy pixie cut with highlights looks really cute and chic on her. Short spiky haircuts are perfect for giving some texture and style to your hair. 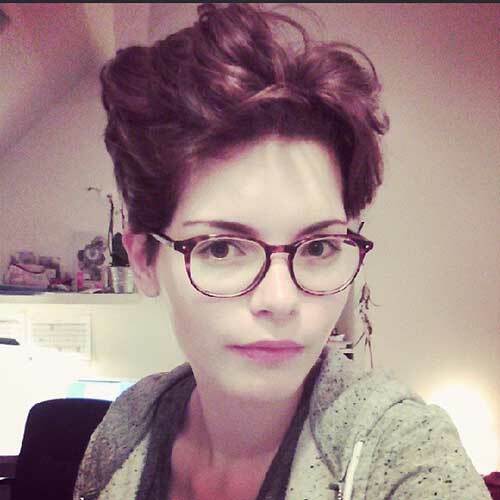 This short hairstyle would be a nice example for girls with wavy and thick hair textures. Got curly and thick hair? This one is a nice inspiration for you then! Blonde curly pixie cut really flatters her facial features and she looks stunning. 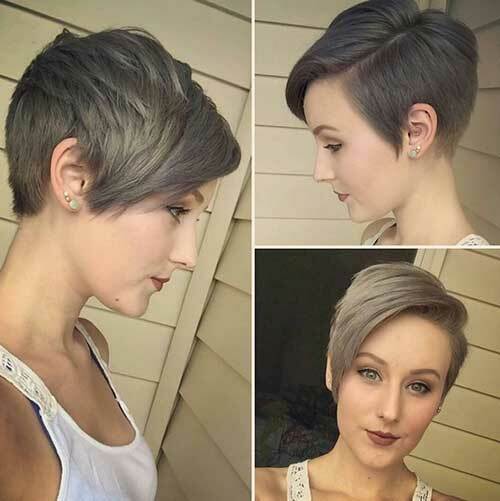 If you have round face this gray pixie cut with side bangs would look really cute and stylish. Looking for something edgy and eye-catching? 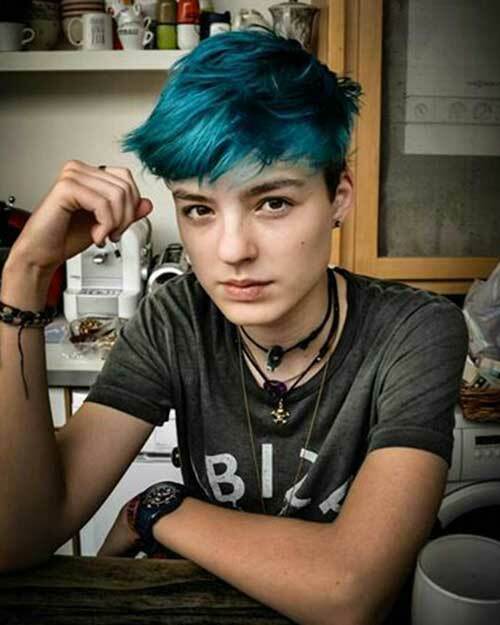 Here is a colored pixie cut with bangs. 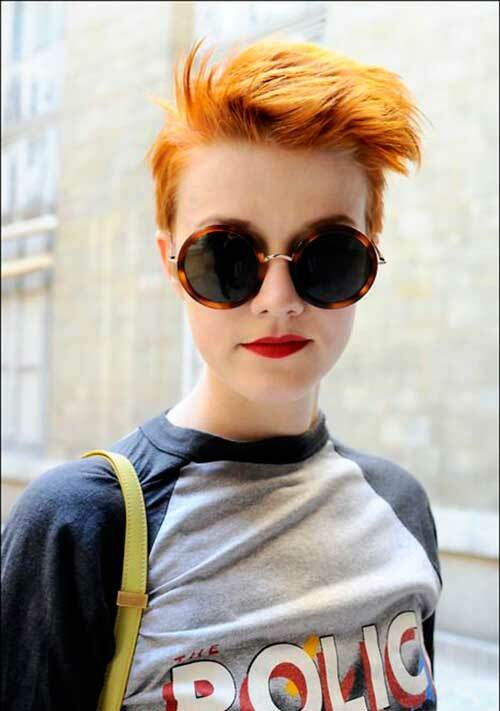 This orange red hair color and messy pixie style looks modern, fresh and stylish. 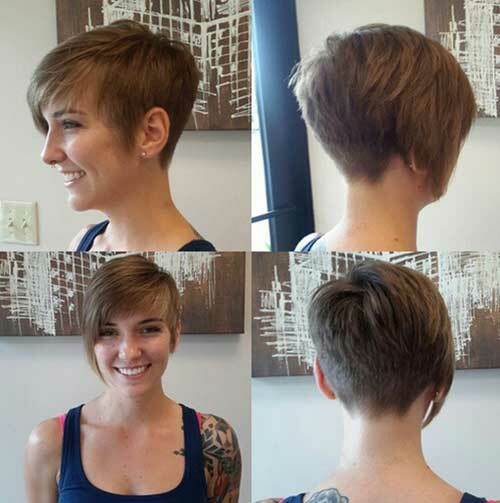 If you want to sport a pixie style back view is important as frontal view. 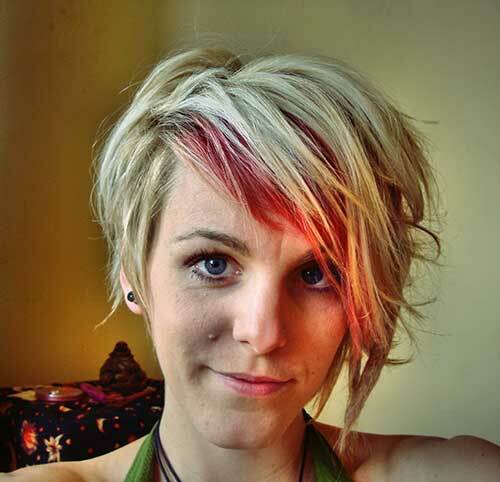 Long and asymmetrical pixie cut with red highlights and messy style frames her face nicely. 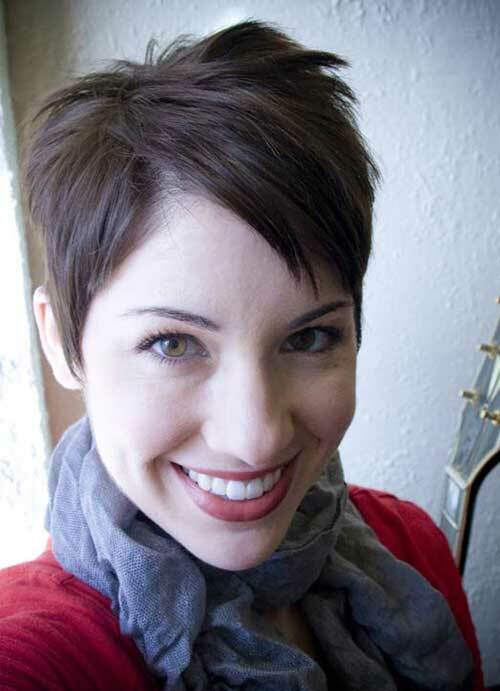 Side parted sleek straight red pixie cut, green eyes and red lips looks stunning. 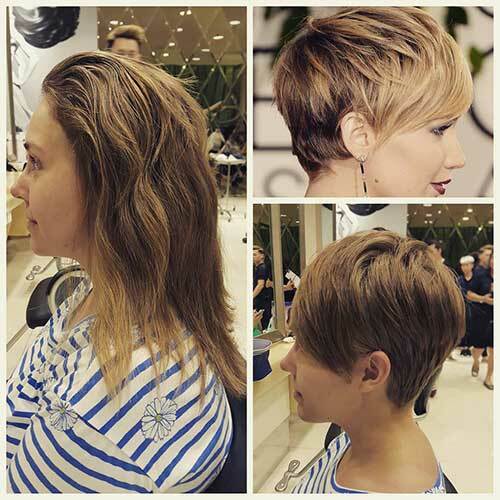 Tapered short hairstyles is one of the most preferred hairstyles for women with thick hair. 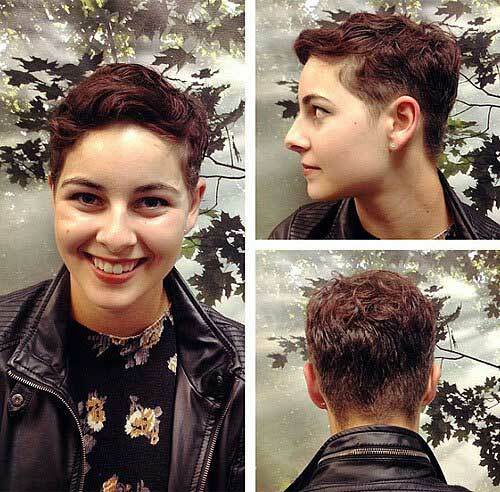 This boyish pixie cut with shorter sides definitely emphasize her facial features and eyes. 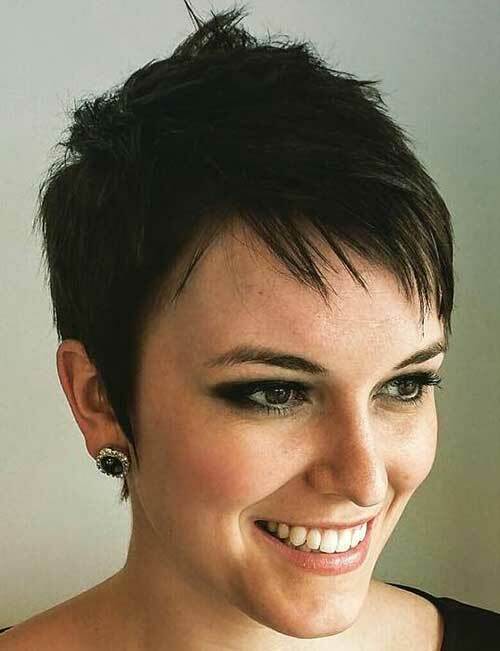 Here is a really cure asymmetrical pixie style for brunette ladies.